An alarming letter from the Department of Justice accuses Missoula County, Montana prosecutors of all but ignoring sexual assault cases. Buzzfeed reports that the Missoula County Attorney’s Office only took action on 17 of 85 police reports of sexual assaults of adult women between January 2008 and May 2012. 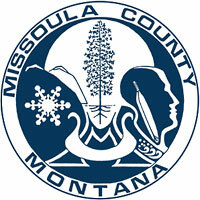 “[Female] sexual assault victims in Missoula are deprived of fundamental legal protections and often re-victimized by MCAO’s response to their reports of abuse,” U.S. attorneys wrote in a findings letter to County Attorney Fred Van Valkenburg. In some cases, prosecutors even failed to return phone calls from victims. Posted: 2/18/14 at 9:54 AM under News Story.